Aging caused by environmental changes can lead to a dull, dry and uneven complexion. 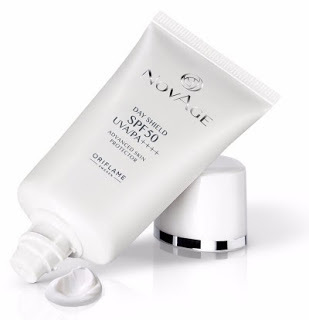 Protect and maintain younger looking skin with Oriflame SPF 50 UVA / PA ++++ Advanced NovAge Day Cream. Did you know that about 80% of wrinkles are the result of unprotected sun exposure or insufficient protection? Cutaneous cells have the ability to repair some of the surface changes caused by exposure to UV rays. Justification for the fact that the sun burns improve in days and the tan disappears gradually. However, the deeper changes remain and the damage caused by UV radiation is cumulative and can take 20 or 30 years until they become noticeable. UVA radiation penetrates deeper into the skin and therefore leads to skin aging. Did you know that UVA radiation has been associated with 67% of malignant melanomas? Day Care Cream with SPF 50 UVA / PA ++++ Oriflame NovAge provides very high protection (SPF 50) against UVB radiation and maximum protection against UVA (PA ++++) radiation. 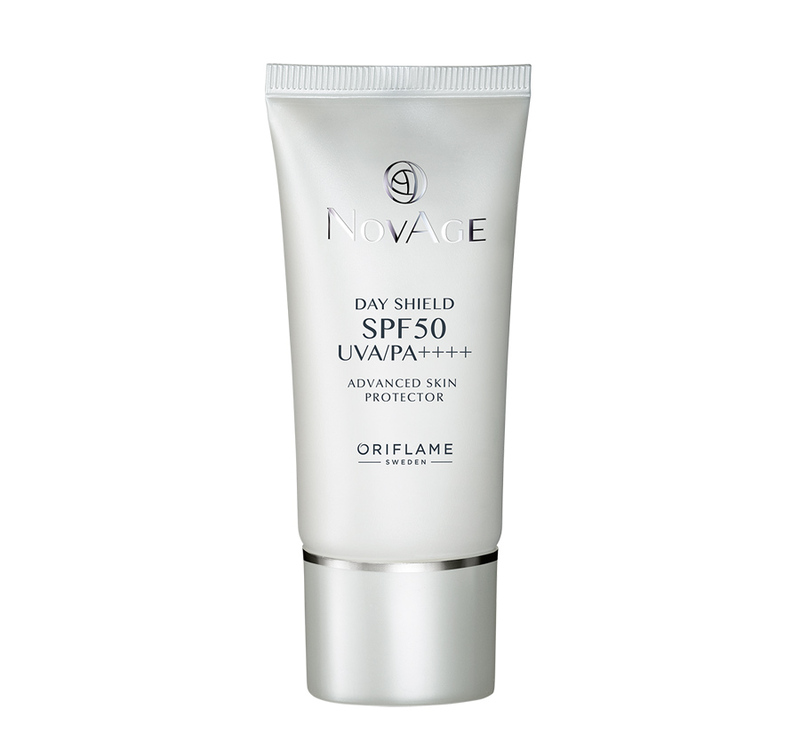 Oriflame had previously released Day Care Cream with SPF 30 NovAge, but with this new release it reinforces the offer of advanced sun protection. It gives the highest level of UVA protection to protect the skin from harmful rays and aging. Protects and hydrates the skin intensely. UV radiation is the main cause of skin aging. The SPF 50 UVA / PA ++++ present in this product gives a supreme protection to the skin. Pollution Protect Technology gives a protective layer to your skin, protecting it from environmental damage. Moisturizing active ingredients and Vitamin E provide intense hydration to the skin to prevent dryness and premature aging. Protects the skin from dehydration, helping to delay its aging. Apply on face and neck in the morning after applying day cream. Can be reapplied throughout the day for maximum protection. A multi-purpose cream, designed to protect the skin from signs of aging caused by UV rays and pollution, such as irregular tone, dark spots and wrinkles. Helps delay the signs of aging for a radiant, uniform complexion without imperfections. 30 ml.